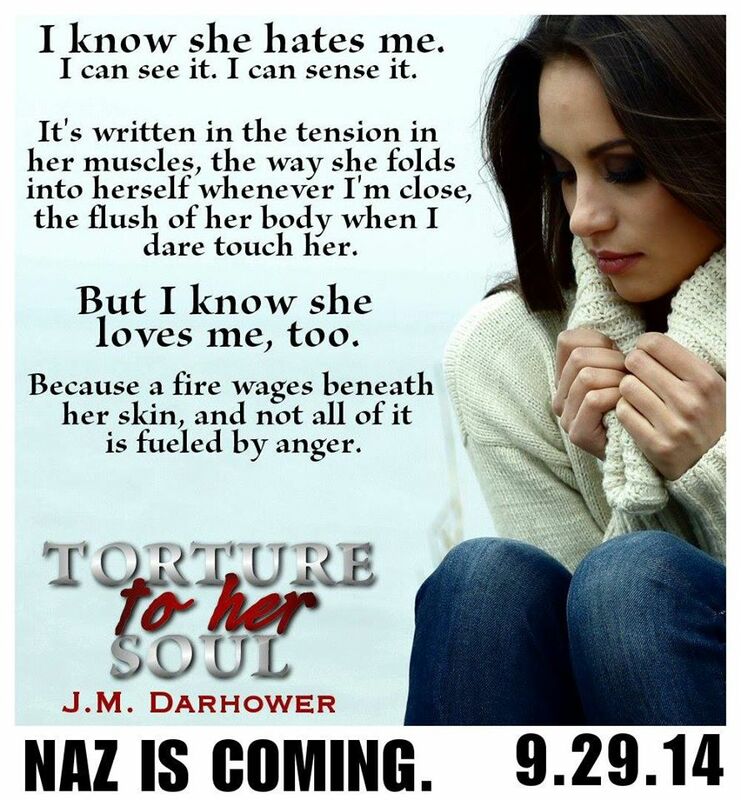 TORTURE TO HER SOUL is a continuation of Monster in His Eyes with Naz’s as the narrator. Naz and Karissa’s relationship is not in a good place because of certain truths that have been revealed. Karissa is no longer naive to Naz’s world. This world was created long before Karissa was born and because of past situations she has become inadvertently part of his world. Naz is not a good man. He knows that and his family knows that but Karissa wrestles with the idea that inside of him is a decent human being. Unfortunately, his past haunts him and leaves him cold and unfeeling except to the one person who has brought light into his world. •Regardless of if you were there or not, the day happened. There’s a lesson to be learned there, you know. Life goes on without you. Yep, I’m totally trying this to see if it works. *fingers crossed* it works. For lovers of Monster in His Eyes you’ll want to read this dark and twisty resolution to their love story. Pre-order Becoming Torture to Her Soul on Amazon!!! It’s a simple concept, one I’ve said time and again, but something people don’t seem to comprehend. You should choose every syllable carefully, because you never know when somebody will hold you to your word. I’m not a good man. I’m not. I know. I have enough darkness inside of me to rid the world of every stitch of light. But there’s one I could never harm, one light I couldn’t bring myself to snuff out. She thinks I’m a monster, and maybe I am. I taunt her with my touch, get a thrill out of torturing her soul. But I’m not the only one. The world is full of monsters, and I’m not the most dangerous one out there. God help me, I love her. J.M. Darhower is the USA Today bestselling author of books about the hottest hit men and the women who find some hope in them. She lives in a tiny town in rural North Carolina, where she churns out more words than will ever see the light of day. She has a deep passion for politics and speaking out against human trafficking, and when she isn’t writing (or fangirling) she’s usually ranting about those things. Chronic crimper with a vulgar mouth, she admits to having a Twitter addiction. You can usually always find her there.